Whether you are coloring, taking notes, planning, journaling or just drawing... a notebook is a major aspect of the day. This simple tool can format your creations, organize your thoughts, set your goals, relieve stress, etc... all while on-the-go to your next adventure. 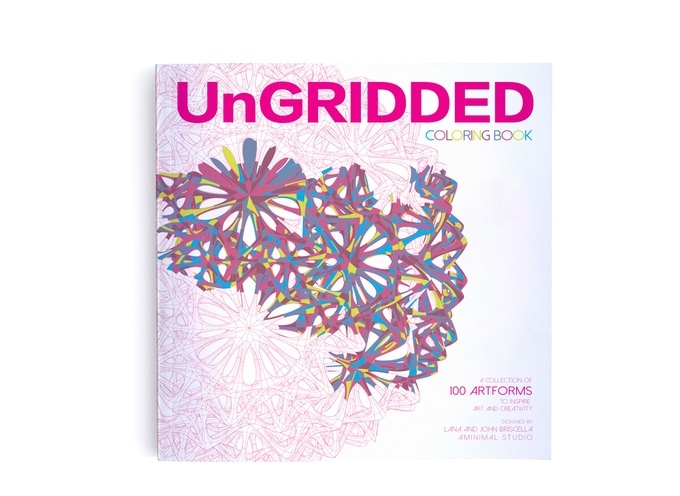 The UnGRIDDED collection is a series of large coloring books and pocket-sized notebooks focusing on different topics from many diverse disciplines. Fill the pages with your own art. Today we are also presenting our latest generative design project. Today we are excited to have launched our Art section and new philosophies for our studio. A way for us to expand our ideas and work on larger concepts in the field of art, design and technology. A conceptual approach to robotic manufactured art. We were Inspired from philosophies in pop art. By simplifying as many a complex setups as possible, the process informed our future work and philosophy of robotic manufactured art. We hypothesized the way the software would generate the organic forms into flowing 3D strokes with different degrees of complexity. Tested the integrity of the form for a rigorous 3D milling process.